10ct. 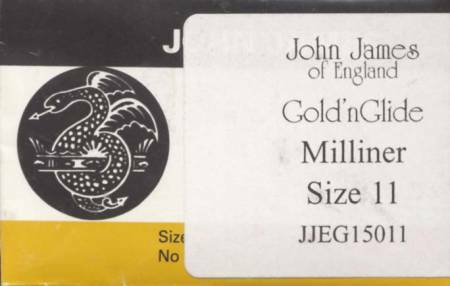 Innovative line of coated needles from the renownedJohn James of England. Needle slides effortlessly throughfabric and batting. 14K gold eye for easy threading.